On the 28th September, the fabulous Grace Hall will be transformed for a night of ROCKAOKE! Forget your ordinary start to the weekend and join us onstage for a Friday night like no other! It’s not just rock music; every genre and era is covered, from Abba to Kanye West to Grease – what will you rock out to? Enjoy cocktails, spirit infusions, wines and beers as you watch the show with an extensive and unique bar menu available throughout the night. Doors will be open from 6pm and the venue closes at midnight. £10 entry. Buy tickets here. Visit the Grace Hall website for more info. 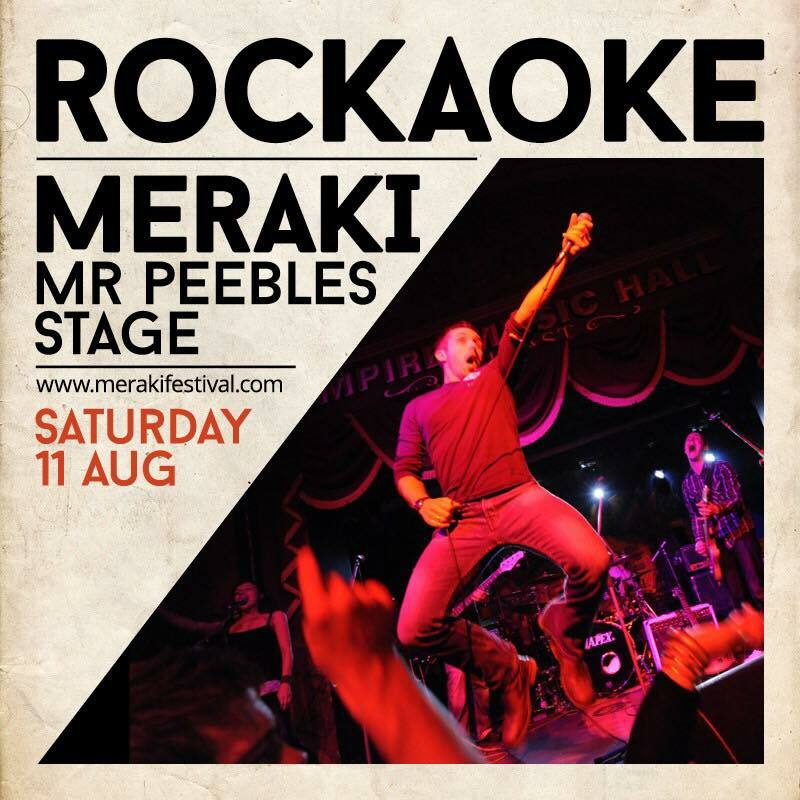 Rockaoke return to the awesome Meraki Festival in august 2018. 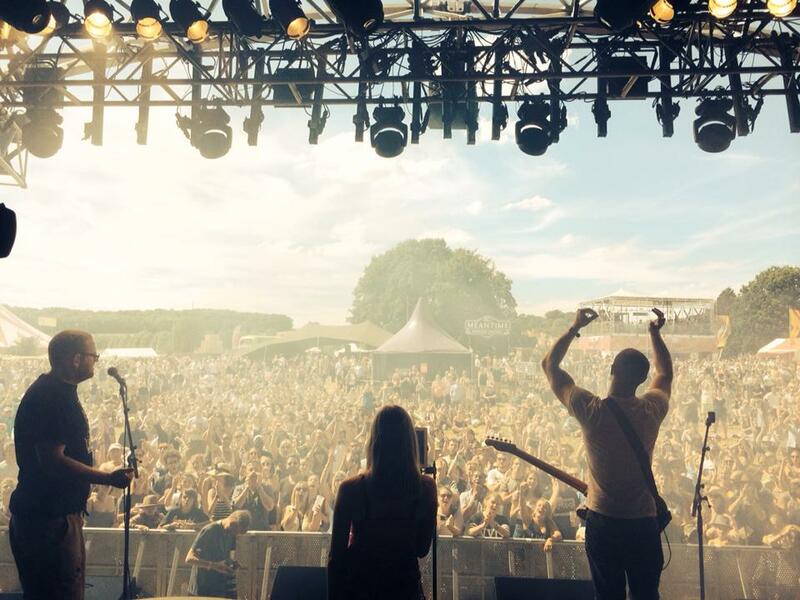 Amidst an absolutely incredible festival summer 2018 for Rockaoke, we are delighted to be giving audiences a chance to join us on stage again at one of our favourite festivals of 2017. Meraki Festival. A truly magical place full of incredible live music, electric atmospheres and exciting experiences. Including ROCKAOKE! Come and unleash your inner diva, crooner or rock god with us from 15:50 -16:35 or again at 17:45 – 18:30. Children are as welcome on stage as well as the ‘big kids’ too. Let’s see who gives the best performances! We think it’s going to be a magical weekend. First festival of the season done, and what an epic way to kick off proceedings! 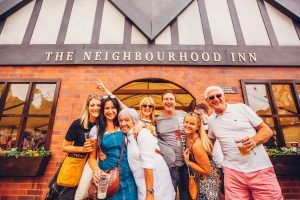 We were booked by SJM Concerts, one of the UK’s leading promoters, to curate a pop up bar called the Neighbour Hood Inn. 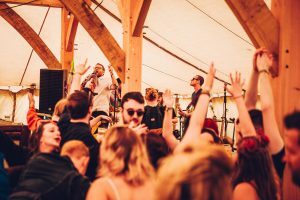 The brief was to fill it with the kind of entertainment you’d find in a traditional pub but to add an unexpected twist and engage the ‘hungry for fun’ festival crowd. Luckily, we have a flight case full of these activities after 15 years in the game. The programme was hosted all day by our fictional pub landlord character, Mat Butcher aka Mat Slater. The live band then took to the stage for a bespoke, fully interactive live band music quiz ( different each day ), sing along bingo and 2 sets of Rockaoke, before our landlord turned to the decks for the evening under the guise of DJ Starship. We knew what we had put together was going to be fun, but we weren’t quite prepared for the crowd surfing kids and OAP dance offs. The Neighbour Hood Arms was packed to the rafters all weekend, with full houses for the Sing-Along-Bingo, standing room only for the quizzed and complete carnage during the Rockaoke sets! SJM were supremely happy and the festival crowd were euphorically entertained. Job very well done. Keep your eyes peeled for video evidence of this completely interactive, Rockaoke programming. It should be making it’s way to a festival, corporate event or private event near you soon. Is this the real life, or is it just fantasy!? Back in January we were asked by long time Rockaoke fan, Dexter Fletcher (film director) if we could come along to The Bloomsbury Ballroom and play at the wrap party for Queen’s ‘Bohemian Rhapsody’ biopic. It was a slightly surreal night, what with us being in the same room and playing in front of total rock legends Brain May and Roger Taylor. This was made even more surreal by Rami Malek, who plays Freddie Mercury in the film, slaying through Queen songs ‘Tie Your Mother Down’ and ‘Under Pressure’ with all the Freddie mannerisms down to a tee. And come the end of the night, when the grand finale was upon us, it could only have been one song………Bohemian Rhapsody, led by Oscar winning film producer Graham King. The perfect way to sign off from one of the craziest nights in Rockaoke history. The official film trailer is out now. From what we saw on the night, it’s going to be amazing. ROCKAOKE……the Premier League Champions of live band karaoke! Blue Moon at the Manchester City Champions Party 2018 from rockaoke on Vimeo. Ever wondered how world class, elite, Premier League Footballers celebrate winning the Premier League? Naturally, they hire Rockaoke!! Premier League 2018 winners Manchester City hired Rockaoke to help world class football superstars such as Sergio Aguero, Leroy Sane, John Stones, Kyle Walker, Kevin De Bruyne to name but a few, live out their Rock ‘n’ Roll dreams by fronting their very own live band. The venue of choice was the Mayfield Depot, Manchester, an old disused railway depot. The evening started off a little quiet until the whole team invaded the stage to sing club anthem “Blue Moon”, then things hotted up as the night quickly picked up pace with the guys doing “Hey Jude”, “Mr Brightside”, “Suspicious Minds” and many more. Even City supporter and guitar hero Johnny Marr of The Smiths popped his head in just to see if the team had the same swagger on the stage as they’ve had all season on the pitch. He didn’t fancy getting up himself saying… “I’m off the clock boys but sounds cool. I’ll stick around”. 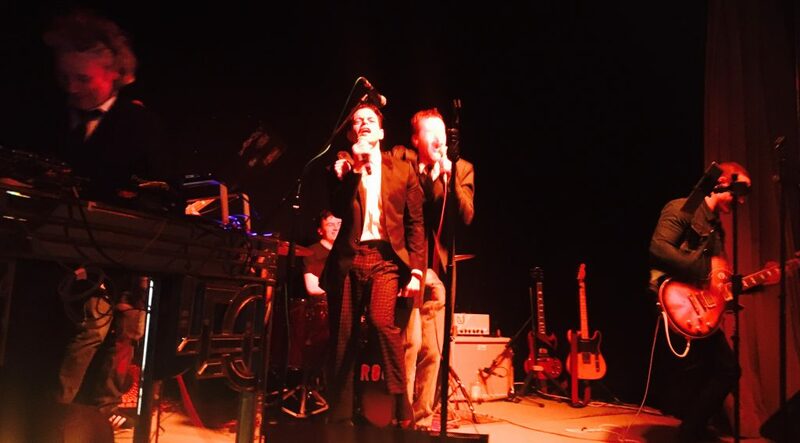 Just goes to show, everyone loves singing with a live band…..even the most expensive footballers on the planet! The Evening Standard’s Karaoke Bar Guide! According to the Evening Standard, ROCKAOKE is officially one of the best karaoke nights London has to offer! 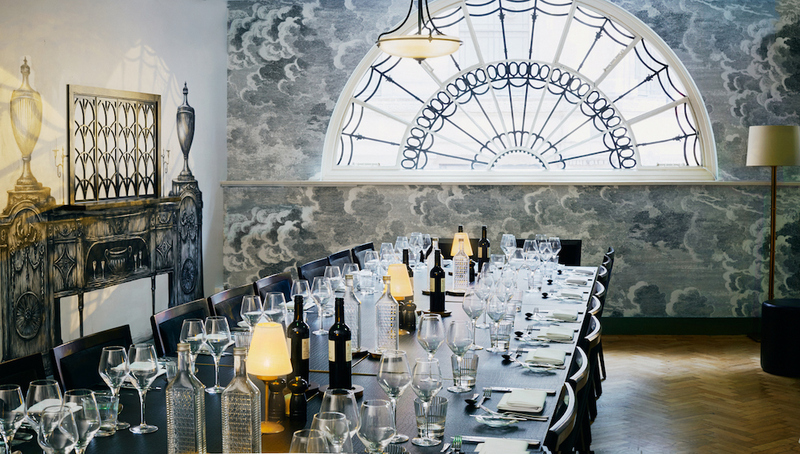 If you’re in the mood for a good, nay, the ultimate, sing-a-long then why not head down south and see what all the fuss is about? The Bunga Bunga Bank Holiday Bonanza! 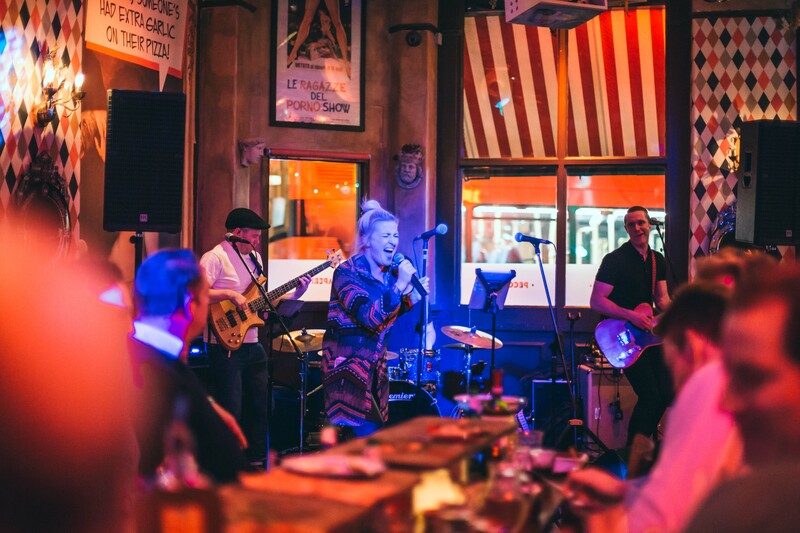 Rockaoke have teamed up with the world famous pizzeria and karaoke bar, Bunga Bunga Battersea, for some bank holiday fun. We will be serving up a slice of our mighty meaty, fully loaded, live band karaoke experience, and giving you the chance to unleash your inner rockstar live at Bunga Bunga Battersea. There will be cocktails and foot long pizzas galore, with a £100 bar tab for the best singer of the night, to be used at the next Bunga Bunga Rockaoke Night. Rockaoke Nights – The ultimate WTF experience! 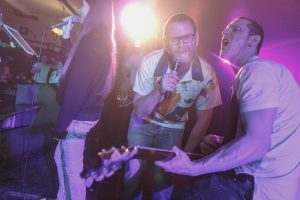 Rockaoke have been running regular nights in London for the last 10 years, giving people the platform to lose their inhibitions and unleash their inner rockstar!! Our nights have seen us take on such venues as Punk, The Phoenix, Proud Galleries, AAA Bar, The London Cocktail Club and the iconic Madame Jojo’s. Now with a new roster of regular monthly nights, including one in Sheffield, the birth place of Rockaoke, you can sing with Rockaoke on most Friday nights, with the addition of a monthly Thursday and Sunday. 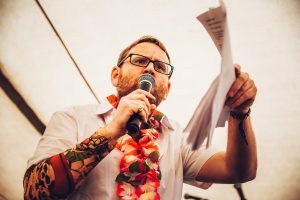 1st Friday of the month – Radicals and Victuallers – Islington. 1st Thursday of the month – The Dogstar, Brixton. 2nd Friday of the month – Tooting Tram and Social, Tooting. Last Friday of the month – The Star of Kings, Kings Cross. Last Friday of the month – The Mulberry, Sheffield. For one of the most fun nights you can have without getting arrested…….then come to one of our nights! Which pop star are you going to be?!!? 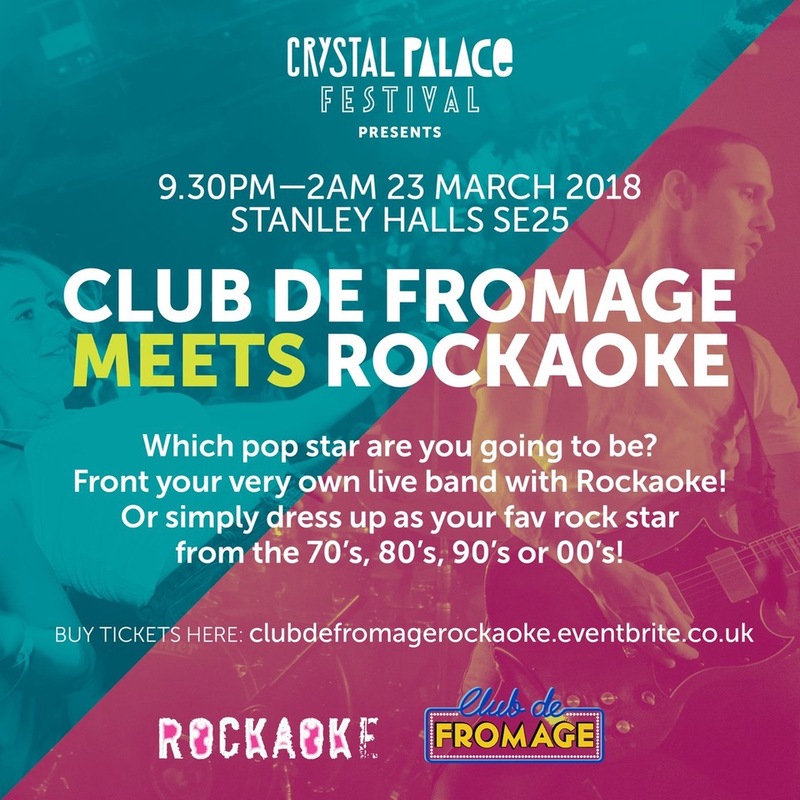 Get ready to party like it’s 1999 at this unique and hilarious fundraising night for the Crystal Palace Festival with ROCKAOKE and CLUB DE FROMAGE! Together for the first time in their infamous histories, this is a night not to be missed! Dress up as your favourite rock star from the 70’s, 80’s, 90’s or 00’s and partay to some great cheesy tunes! Forget Karaoke! 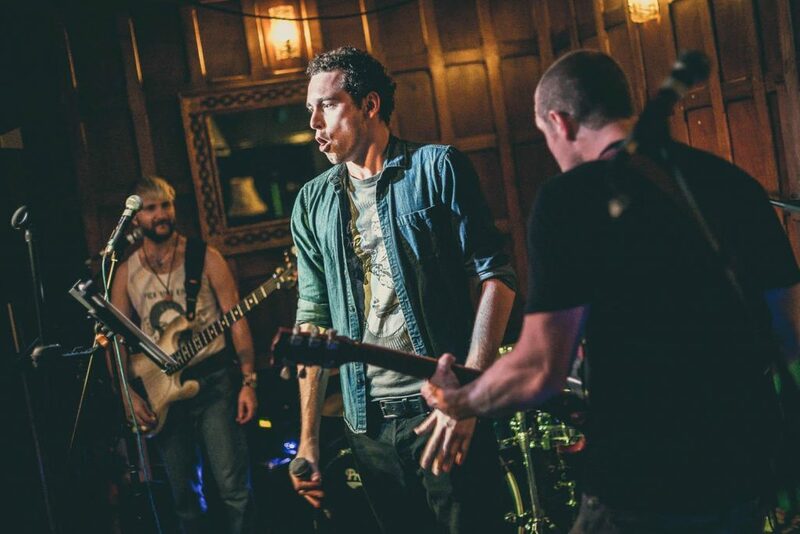 ROCKAOKE is your chance to sing with a live rock band and be the lead singer you always wanted to be. Live the dream and take the audience by storm! Sign up by emailing us your tune choice and get rehearsing. CLUB DE FROMAGE bring their ridiculously fun and silliest dance routines, air-guitar, sing-a-longs, pop, rock and the legendary Fromage meat pie raffle to south London. A north London institution, it’s time they brought it dahn sarf innit? Don’t miss the most hilarious night this spring in south London and help us raise funds for the 2018 festival. 23rd March, 9.30pm. Tickets just £15. Full bar until 2am.